How is it possible to improve on perfection? 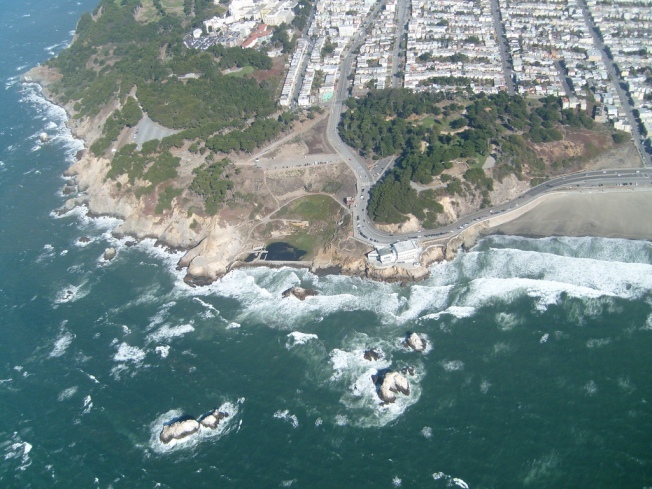 Nevertheless, Sarah B over at the RichmondSF blog is reporting that there will be a public meeting on July 21 to get public feedback on plans to improve this already-gorgeous trail on the northwestern tip of the City known as Land's End. Just a stone's throw away from Ocean Beach and Sutro Baths, the area is popular with locals from striking views of the ocean and a glimpse of the Golden Gate Bridge from the other side. Apparently there's a $5 million grant from the Goldman Fund burning a hole in the GGNRA's pocket, or something like that.